Azoxy 2SC is a broad spectrum, systemic fungicide that provides excellent, long lasting disease control on a number of key crops including, but not limited to: corn, potato, soybean, vegetables, grapes and nut crops. Improves overall plant health by controlling key yield-robbing diseases. 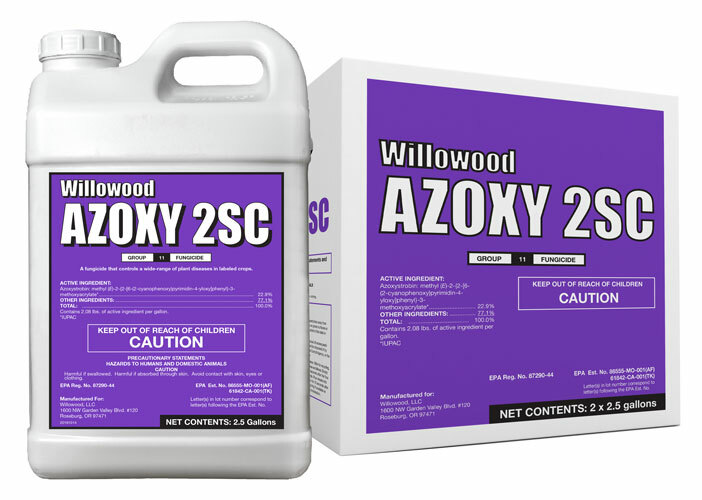 For specific use instructions see back or refer to Willowood Azoxy 2SC product label. Contains 2.08 lbs. of active ingredient per gallon. ABOUND® and QUADRIS® are registered trademarks of Syngenta Group Company.